WHAT DO MARYLAND RESIDENTS LOVE ABOUT LIVING HERE? 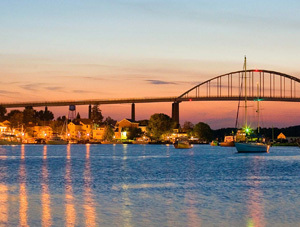 So many ways to experience and enjoy nature is part of the appeal of this region. The Chesapeake bay and shore points bring opportunities for water sports and fabulous water side dining. 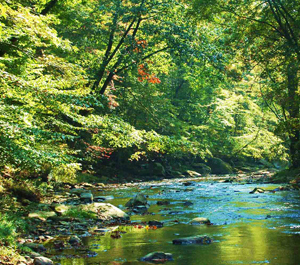 Parks abound in Maryland so getting away from hectic life is easy. Peaceful surroundings and a quiet pace to life without sacrificing easy access to larger cities keep these residents happy! Baltimore, Wilmington and Philadelphia are all a convenient drive for sporting events or entertainment or employment. 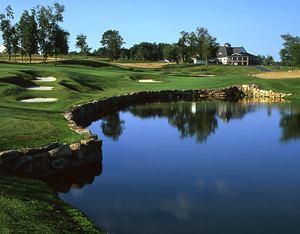 Fair Hill is located just south of the PA state line and is home to Fair hill Nature preserve. This park boasts 5,000+ acres of trails, woods perfect for hiking, horseback riding and biking. A fair center with arenas, exhibition halls and more host various events throughout the year. 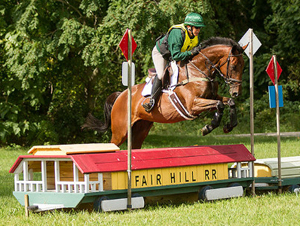 Host to The Fair Hill International event, this area is a favorite destination for area equestrians. This charming town is located on the North East River, at the head of the Chesapeake Bay, and is about 15 miles from Havre de Grace on Maryland’s Western Shore and about 12 miles from Chesapeake City on Maryland’s Eastern Shore. Main Street in downtown North East offers a selection of antique shops, stores, and restaurants. St. Mary Anne's Episcopal Church, located on Main Street, dates back to the 1700’s and the adjacent cemetery is one of the oldest in Maryland. Located 10 miles south of North East, Elk Neck State Park has 2,200 acres of lush waterfront forests, rustic cabins and campsites for tents, trailers, and motor homes. The park has 10 miles of hiking trails, a sandy beach, and miniature golf. 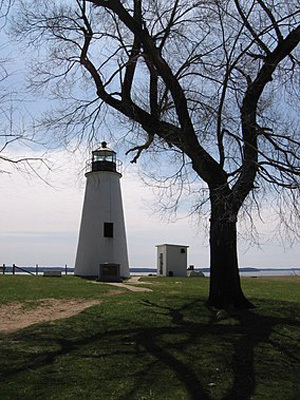 Turkey Point Lighthouse, one of the Chesapeake Bay’s oldest lighthouses in continuous operation, is also located within the park and is accessible from an easy 2 mile trail. Though Chesapeake City is historic, the inns, restaurants and shops offer all of the modern comforts and pleasures a visitor could ask for. 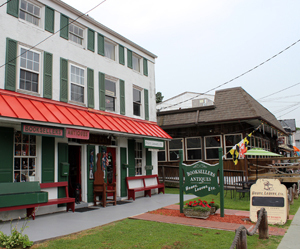 Three well-known waterfront restaurants are consistent winners in Delaware and Maryland newspaper readers’ polls; shops are all located in historic buildings, adding to that special ambiance of small-town American charm. Chesapeake City features homes and gardens from the 1800's, many on the National Historic Register. Visit the C&D Canal Museum, which provides a detailed history of the canal that built Chesapeake City. The museum has interactive displays and items of interest for all age groups. 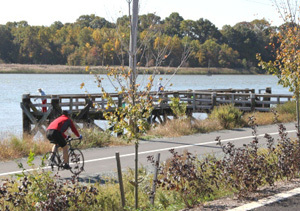 Bike or walk the Ben Cardin Recreational Trail, which courses along the banks of the Canal eastward, where it crosses into Delaware and extends 15.5 more miles all the way to the Delaware River. Kayak in scenic Back Creek, which is a slow, meandering paddle through scenic countryside. Bald eagles, ospreys, heron and even otters are regular inhabitants of the area's wetlands.